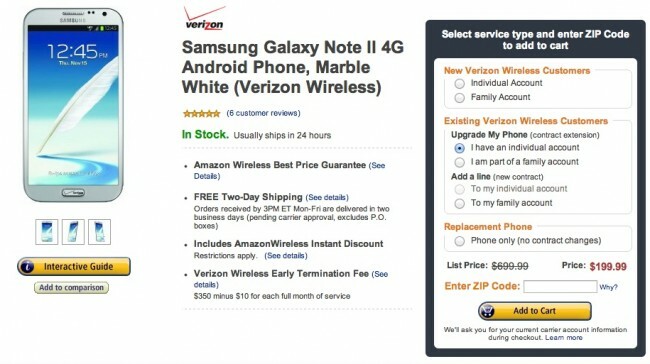 Today, Amazon dropped the price of the Verizon version of the Samsung Galaxy Note 2 to $199 for upgrades and new lines. That’s a solid $100 discount over what Verizon current $299 on-contract price. We’re huge fans of the Note 2 (our review) as an overall smartphone package. While the actual size may be a bit much for me, Tim has been using the Verizon version daily for some time now and continues to rave about it. It’s combination of power, beauty, and features make it a tough phone to deny.